What is the purpose of the WMAB? The Waterfront Management Advisory Board (WMAB) members will advise the administration on matters related to New York City waterfront and waterways, and provide guidance to the Department of City Planning (DCP) on the development of the Comprehensive Waterfront Plan. This plan, published every 10 years, provides a vision for the city’s waterfront for the next decade and beyond. DCP anticipates beginning broader public engagement on the plan in early 2019. The WMAB is convened according to the NYC Charter Chapter 56 § 1303. The legislation highlights various requirements of the board, to ensure equal representation of NYC boroughs, as well as a diverse group of industrial, commercial, residential, recreational, and other waterfront advocates. The Charter also requires that the board hold at least one meeting every quarter; a summary of which will be made available on this site. Furthermore, appointed board members shall be appointed for three-year terms without compensation. Captain Johansson is a third generation Port of NY/NJ Captain and Distinguished Service Professor at Maritime College. He holds a Master of Science in International Transportation Management and is the innovative and forward-leaning founder of the annual SUNY Maritime College Towing Forum, now in its 19th year. Published funded research projects include: Hunts Point Terminal Market: The Demand for Waterborne Transportation as a Part of the Outbound Distribution System, Offshore Wind Development and Research, Economic Impact of Siltation on NYC’s Small Waterways, Maritime Support Service Location Study (MSSLS), and Economic Analysis Brooklyn Navy Yard”. In addition to his research, Captain Johansson serves on many local maritime committees such as Harbor Safety Committee, Energy Sub-committee, and Harbor School Professional Advisory Committee and National Maritime Committees. Mychal Johnson has a long-standing track record in community-based advocacy for environmental, economic and social justice in the South Bronx. He is a co-founder of South Bronx Unite and a member of the Board of Directors of the Mott Haven-Port Morris Community Land Stewards. He also serves on the Board of Directors of the NYC Community Land Initiative, the Bronx Council for Environmental Quality, and the Watershed Advisory Committee of the Park’s Department Harlem River Watershed and Natural Resources Management Plan and the Community Advisory Board of Columbia University’s NIE-HS Center for Environmental Health in Northern Manhattan. Mychal was also appointed as a civil society voting member of the New York State Department of Environmental Conservation Open Space Committee. He advocates for greater access to green space, truly affordable housing and quality of life enhancing efforts without gentrification in the South Bronx. Katina Johnstone is co-founder of Kayak Staten Island, an all volunteer, free of charge, open to the public kayaking program since 2007. KSI has provided the equipment and kayaking expertise to launch thousands of Staten Islanders and visitors onto the water. The program started on Staten Island’s east shore but has offered kayaking programs virtually on all shorelines of the island, including Freshkills Park. Edward J. Kelly is the Executive Director of the Maritime Association of the Port of New York/ New Jersey, and is responsible for managing the diverse activities of the Association and helping to develop the enhanced safety, security, ecological sustainability, and economic viability of the many maritime-related industries in our Port. Ed has devoted many years as a Director of the New York Shipping Association, the Carriers Container Council, the USMX, and the Steamship Operators Intermodal Committee. He has served on many joint labor / management committees and trust funds. He is also currently serving as a member of NOAA’s Hydrographic Services Review Panel. Ed also serves as an Industry Advisor to the Urban Assembly School for Global Commerce, and SUNY Maritime College. Ed completed his MBA studies at Pace University in New York City, and holds a certificate in Intermodal Transportation from the FDR Institute. 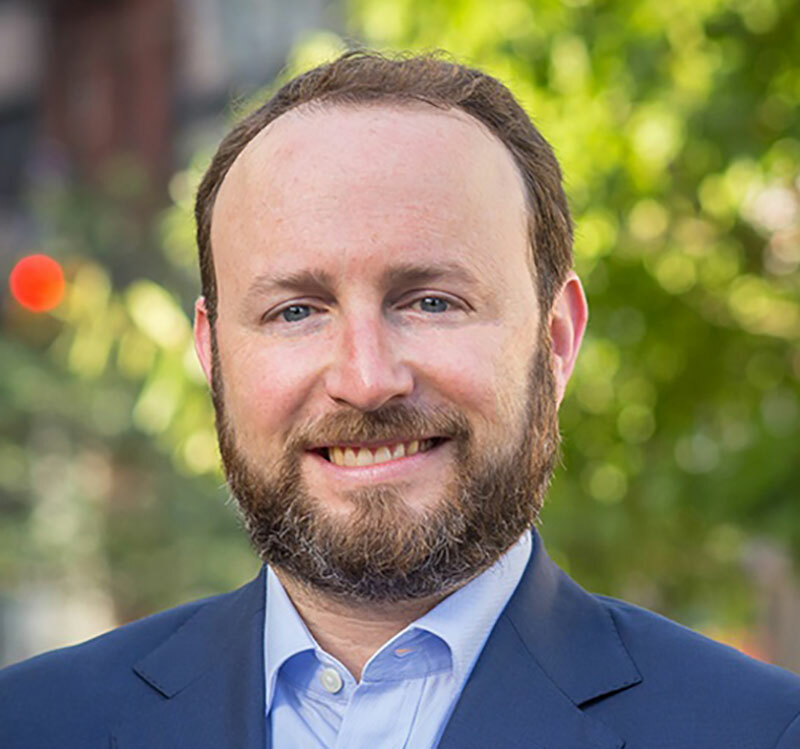 Aaron Koffman, The Hudson Companies, Inc.
Aaron is a Principal and heads Hudson’s affordable housing arm totaling over 4,000 units – including the 4 largest solar PV systems on multi-family projects in New York State. Aaron is the project lead on several large affordable housing/ mixed-use new construction developments in the city including: the 992-unit La Central development in the South Bronx, the 740-unit Spofford Detention Center Redevelopment in Hunts Point and the 56-building affordable preservation portfolio in central Brooklyn. Aaron is a New York State Volunteer Firefighter who earned his Bachelor of Arts in Economics from UC Berkeley and his Master of City Planning from MIT. Aaron also serves on the Boards of the NYU Furman Center, Coro New York and the Center for Urban Pedagogy. Roland Lewis is the President and CEO of the Waterfront Alliance. A lifetime New Yorker, Lewis has been at the helm of the Waterfront Alliance since its founding in 2007. Under his leadership, the Waterfront Alliance has organized a powerful constituency for a more resilient, accessible, and equitable New York Harbor. The organization has instituted programs, initiated and helped create a new waterfront plan for the City of New York, and become the leading waterfront policy organization in the New York region, known nationally and internationally. A graduate of Columbia University, he then went on to earn both a Master of City and Regional Planning and a Juris Doctor from Rutgers University. He served as co-chair of Housing First! and currently is on the boards of the Waterfront Management Advisory Board and the Nonprofit Coordinating Committee of New York. Pete grew up farming oysters with his parents on the Fishers Island Oyster farm. After graduating from Vassar college, he began working at the New York Harbor School where he founded the Aquaculture and Oyster Restoration Programs. After 5 years as a public school teacher, Pete left Harbor school in 2014 to develop Billion Oyster Project where he is now Executive Director. Billion Oyster Project is a non-profit organization dedicated to restoring oyster reefs to New York Harbor through public education initiatives. Based on Governors Island, it has grown into a region-wide initiative involving over 75 schools, 80 restaurants and thousands of community members working together to restore New York’s once great oyster population. Pete also serves as a Co-Chair on the Governors Shellfish Restoration Council. Dr. Geeta Mehta is an adjunct professor of architecture and urban design at Columbia University. Geeta’s research focuses on Social Capital, and bringing to center stage its role in enhancing neighborhoods, public health, education, skill empowerment, and resilience to climate change and other shocks. Geeta is the innovator of Social Capital Credits (SoCCs), a community currency for social good that is being used in USA, India, Ghana, Kenya through Asia Initiatives, an NGO she founded. Geeta is also the co-founder of “URBZ: User Generated Cities”, that works with underserved communities to help improve neighborhoods through advocacy and better public spaces and homes. Michael Northrop is Program Director for the Sustainable Development grant-making program at the Rockefeller Brothers Fund where he focuses on climate change. Northrop has been a Lecturer at Yale University’s Forestry and Environ- mental Studies School, Executive Director of Ashoka, an international development organization that supports “public sector entrepreneurs;” and an Analyst at First Boston, an investment bank in New York City. Northrop serves on New York City’s Waterfront Advisory Board and Sustainability Advisory Board, and on the boards of the Rainforest Action Network, Inside Climate News, and Princeton-in-Asia. Northrop has an MPA and a BA from Princeton University. Kate Orff is the Founder of SCAPE, a landscape architecture and urban design firm based in Lower Manhattan. SCAPE’s work has focused on the ecological and social revitalization of urban water bodies, and combining public space and new forms of participation. Kate is also an Associate Professor and Director of Columbia University GSAPP’s Urban Design Program. Kate was named a MacArthur Fellow in 2017, the first given in the field of Landscape Architecture. She graduated with a bachelor’s degree in Political and Social Thought from the University of Virginia with Distinction and earned a Master in Landscape Architecture from the Graduate School of Design at Harvard University. Council Member Debi Rose serves as Deputy Majority Leader in the New York City Council, representing the North Shore of Staten Island. Subsequent to her re-election in November 2017, Council Member Rose was appointed Chair of its Committee on Youth Services and a member of the Council’s Committees on Aging, Education, Justice System and Transportation, as well as the Council’s Budget Negotiating Team. As former Chair of the Committee on Waterfronts, Council Member Rose sponsored legislation to reactivate the Waterfront Management Advisory Board to ensure that New York City is harnessing the full value of its immense waterfront. Council Member Rose is a second-generation Staten Island native and the first African American from Staten Island elected to any public office. She also served on Staten Island’s Community Board 1 for 28 years and the Community School Board for 13 years. Rafael Salamanca Jr. is the Council Member for the 17th District of the New York City Council, representing the South Bronx. Beginning his career working in healthcare to expand access for low-income and working families, Council Member Salamanca then went on to serve as the District Manager for Bronx Community Board 2. He also previously served as the President of the 41st Precinct Council, working closely with the NYPD and other local leaders to help improve public safety in the community. On the Council, Salamanca has fought for new, good-paying jobs by requiring that companies investing in the community hire local residents, including our youth. Council Member Salamanca has fought to bring affordable housing to the South Bronx, focusing on ensuring residents of all incomes have access to new apartments. Kellie began her career at THE POINT CDC in 2002, a non-profit organization dedicated to the revitalization of the South Bronx through arts & culture, youth development and community development. In 2004, Kellie became Executive Director, overseeing organizational development, fundraising, arts based and environmental justice campaigns for the agency for over ten years. Kellie went on to join The Surdna Foundation as a Program Officer on The Sustainable Environments Team in 2015 where she currently works to support equity and sustainability efforts nationally. Kellie has completed the Executive Leadership Development Program with Columbia University’s Institute for Non-Profit Management, The We Are The Bronx Fellowship Program and has received recognition for her work from institutions such as El Diario la Prensa, New York City’s largest and oldest Spanish-language daily newspaper. Kellie also served as The Board Chair of The New York City Environmental Justice Alliance and is a Board member of The Bronx River Alliance and The Norcross Foundation. A proud mother of two, Kellie currently lives in the Bronx with her two sons, Ali and Naim. Jay Valgora founded Manhattan-based STUDIO V Architecture, dedicated to the reinvention of the contemporary city. The Studio is focused on transforming and reconnecting edges, creating sustainable resilient communities, radical adaptive reuse of industrial and historic structures, and experiments in innovative fabrication. New York’s waterfront provides the location of much of his most prominent work as STUDIO V has been reimagining NYC’s waterfront including Astoria, Inwood, Long Island City, Flushing, DUMBO, Gravesend, Sunset Park, and Staten Island. Mr. Valgora’s award-winning design of Empires Stores exemplifies his philosophy: combining historic and contemporary design, overlapping uses, and private initiatives with public and cultural spaces. Mr. Valgora has a Master of Architecture from Harvard University, a Bachelor of Architecture from Cornell, and is a Fulbright Fellow. Kelly Vilar is the founder of the Staten Island Urban Center--a community development through community involvement organization focused on the betterment of urban neighborhoods of Staten Island. She is a former member of Staten Island’s Community Board No. 1 and served as chair of the Youth Committee forwarding the first North Shore Youth Agenda. In 2015, Kelly formed the Let’s Rebuild Cromwell Community Coalition and authored the proposal to develop a Maritime Education, Recreation & Cultural Corridor aka MERC for Staten Island’s North Shore waterfront. Kelly is vice chair of the Caribbean Cultural Center African Diaspora Institute, a multidisciplinary center for global afro descendent culture integrating arts, education and activism. Kelly holds a Master’s Degree in Urban Policy & Planning from the New School for Social Research and has extensive experience in youth and community development. Henry Wan is a Builder/Developer of affordable housing, Construction Manager, General Contractor, Property Manager and Real Estate consultant, active in NYC since 1980. He has built and renovated over a thousand affordable housing dwelling units, both privately and under HPD and NYC Housing Partnership programs. He is a Registered Architect (NY), a member of American Institute of Architects and graduated from the University of Illinois with M. Arch. and B. A. Henry Wan is also a Founding Board Member of the Hong Kong Dragon Boat Festival in New York Inc., since 1991. Dr. Judith S. Weis is a Professor Emerita of Biological Sciences at Rutgers University, Newark. She received her BA degree from Cornell, and MS and PhD from NYU. She has published over 200 scientific papers, two technical books, and books for the general public about salt marshes, fishes, crabs, and marine pollution. She is interested in stresses in estuaries and salt marshes, and their effects on organisms, populations and communities. She is interested in shorelines – natural, restored, hardened, and “living shorelines” and the services they provide, including biological diversity and resilience. Research includes effects of contaminants on behavior and ecology; marsh grasses as habitat; invasive marsh plants effects, mostly in NY/NJ. She serves on the editorial board for BioScience, and is a Fellow of the American Association for the Advancement of Science. She chairs the Science Advisory Board of NJ Dept. of Environmental Protection, and co-chairs the Science & Technical Advisory Committee of the NY/NJ Harbor Estuary Program. In 2016, she received the Merit Award from the Society of Wetland Scientists.